Did somebody see the Band Wagon? Because I need to hop on it. 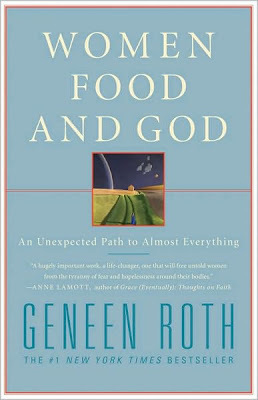 The new book "Women, Food, and God" by Geneen Roth was released earlier this year and promoted on Oprah as a way to stop dieting and win the war with food. I hesitated about getting it at first because I like to at least act like I make my own decisions and am not a mind nome that does exactly what Oprah tells me to do. So I waited a whole week after Oprah told me to get it (see? I am a rebel) and I should tell you, I am floored by it. 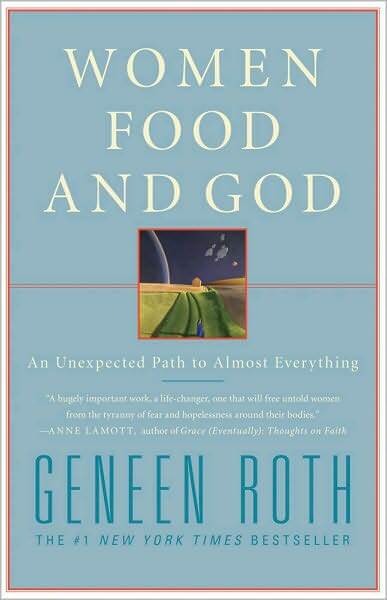 My first thought was that it was going to be a fruity cheese-fest where she told you to look at yourself and repeat a sanskrit mantra, but what I found was Geneen's realistic take on the mind battle that we fight everyday when it comes to not only food, but anything that takes our attention away from the true feelings from which we are trying to escape. I loved it so much that I wanted to read it with a group of girlfriends that I knew would benefit as much as I had, so I started a bookclub! Now every other Tuesday night, my girlfriends and I will get together, leave behind the guilt of what we ate that day, or the stress of how we must split our time while trying to be superwoman; and just come together for some group therapy... and of course a little wine. oops. I wrote on the wrong entry...it was for the one in the magazine..